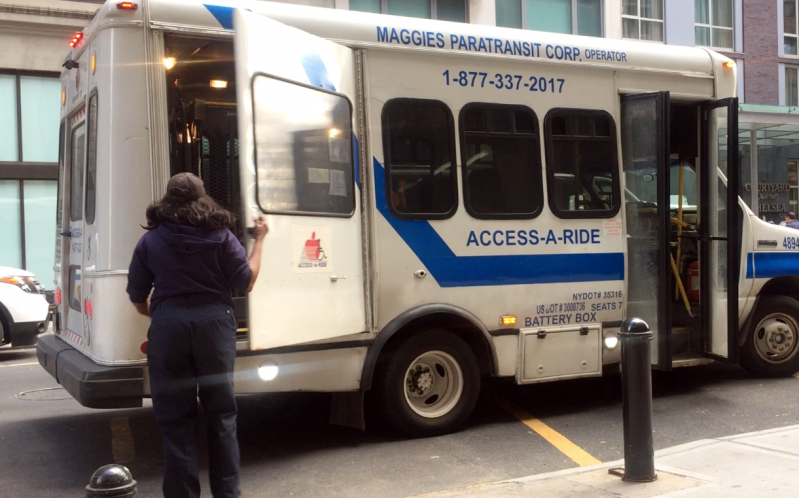 The Department of Transportation is considering a proposal to let Access-a-Ride (AAR) vehicles utilize the city’s bus lanes — an effort to speed up trips for users of the MTA program for disabled commuters, which has been plagued by complaints of slow and inefficient service. Advocates have been urging the city for the last few years to allow AAR cars into bus lanes, saying the change would help provide faster trips for customers, many of whom rely on AAR because of disabilities that prevent them from taking other public transit options. Trips through the service are often painstakingly slow, users say — rides are shared, so drivers frequently take circuitous routes to pick up other customers, making riders late for work and other engagements. NYLPI Report Reveals Uber and Lyft Fail to Provide Wheelchair-Accessible Vehicles Uber and Lyft fail to provide accessible vehicles to wheelchair users 70% of the time they are requested. Citylab Cites NYLPI Report, Asking “Why Can’t Uber and Lyft Be More Wheelchair Friendly?” Journalist Molly Taft cited our "Left Behind" report in her 2,000-word investigation.